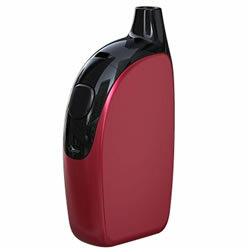 Joyetech Penguin Autopak - RED kit buy from NUCIG UK. Unique in appearance, small & compact with smooth curves and clean lines, the ATOPACK Penguin is a modular e-cig modelled on the animal by the same name. With a unique airflow and atomizer system, 2ml e-liquid capacity and 2000mAh internal battery, a unique JVIC System (Juice Vertical Injection Coil) - the Joyetech Penguin is ideal for vapers looking for something different without compromising on quality. Once charged - last me 2-3 days. great idea. its is there when I need it and satisfies my needs easily. Brilliant device - fast delivery.